Throw the ultimate dance party with our Music Video Show Package! 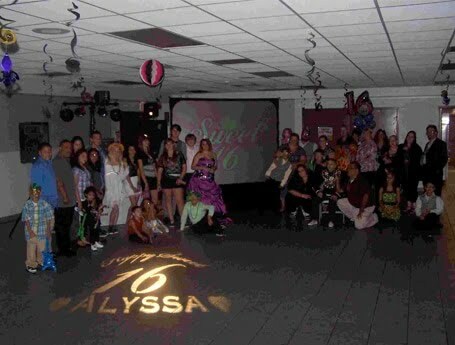 This is our Best, Most Popular and Most Booked Show for School Dances, Proms, Homecoming Dances, Birthdays and Sweet 16 Parties! Why Settle For Just A DJ When You Can Have a VJ! Why Not Add Video? Video is the wave of the future! Add one of our Music Video Packages to your Event and make it “Larger Than Life”! Soundwave’s music video library is constantly updated every month to ensure that we have the most current music videos to date. Our video library includes some of the greatest music videos of all-time from Motown, 70’s, 80’s, and 90’s and Today’s Hits! We even have such “Party Classics” as the Cupid Shuffle, Macarena, Electric Slide, Cha Cha Slide, Cotton Eyed Joe, Train, YMCA, Apache (Jump On It), Grease Mega Mix and videos from top Hollywood movies like “Saturday Night Fever”, Footloose and more! 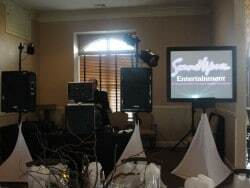 You can also provide the V.J./DJ with a list of songs you would like to have played prior to your event. You can also provide a “Do Not Play List” if there are specific songs or dances that you would prefer not to have played as well! 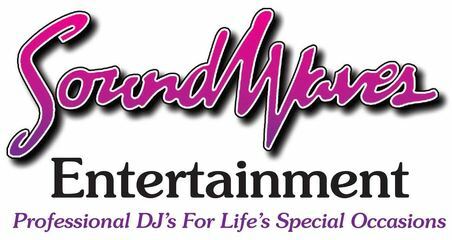 We will fully customize the music for your event to meet your need and your musical taste! We carefully pre-screen all of our music videos for any material and content that may be questionable and only play videos that are appropriate for younger audiences or a school function. 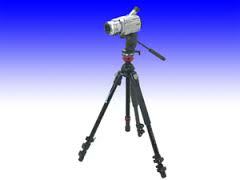 We can replace the video with an alternate source such as: Live Dance Floor Cam or Ambient Videos. We also bring along our entire digital music library just in case we don’t have a particular song or request on video. This is a great alternative to a “regular” D.J. Our Music Video Dance Party is guaranteed to be a huge hit at your next School Dance, Homecoming Dance, Prom, Sweet Sixteen, Birthday Party, Class Reunion or Corporate Party! If you book any of our Music Video Packages we will automatically give you a Free Upgrade from our Basic Lighting Package to our Special FX Lighting Package! This package consists of a bubble machine, green lasers, strobe light and sound reactive nightclub type lights that scan the dance floor! Due to the demand for this package, an additional deposit is required to secure your date for our music video show package. It is always recommended to book this package A.S.A.P. For Proms and Homecoming Dances since there is only a limited number of dates available. It is always best to book your date at the beginning of the new school year to ensure our availability on your date. Please check out the options below and what’s included in the packages! Looking for Some Planning Advice? We’ve put together some helpful planning tools and resources to help make your event planning easy! We offer many exciting additional services to enhance your special event. We’ll send you a personalized quote within 24 hours guaranteed! This is our Big (6 foot by 8 foot) Rear Projection Video Screen! A V.J. (Video Jockey) will perform Special FX Transitions between music videos and mix them together beat to beat! Two 6 foot by 8 foot video screens can also be used at the same time for an even more Spectacular Video Show (there is an additional charge for a second video screen and video projector). 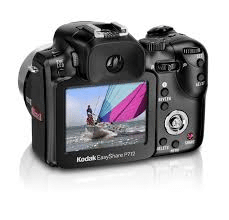 We can also bring along a digital camera to take pictures during your event and display them on the screen to capture special moments and highlights from the event. We play the pictures on the video screen during slow songs plus we also do a “Photo Montage” on the final song of the night and playback of ALL of the pictures or “Memories” that were captured during the event. We will mail you a complimentary flash drive within 2 weeks after your event so that you can share these photos with friends and family or share them with other students or use them for your school yearbook or however you wish. 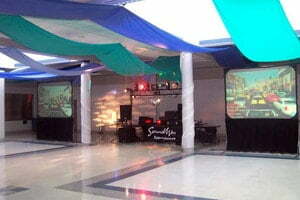 Add a “Live” video camera to show all the action on the Dance Floor on the video screen. The V.J. will mix between the “Live Dance Floor Cam” and the music videos. We can even show guests up on the big screen participating along with the video to interactive dances such as the “Cha Cha Slide, Cupid Shuffle, Apache (Jump On It), YMCA, Cotton Eyed Joe” and more! We can also use the video camera to show the Prom or Homecoming Court on the video screen as they are introduced! For weddings we can show the Bride and Groom on the video screen as they do their First Dance! For smaller venues or venues with limited space, we also have a smaller 4 foot by 4 foot rear or front projection video screen which requires less set up space than our 6 foot by 8 foot video screen.